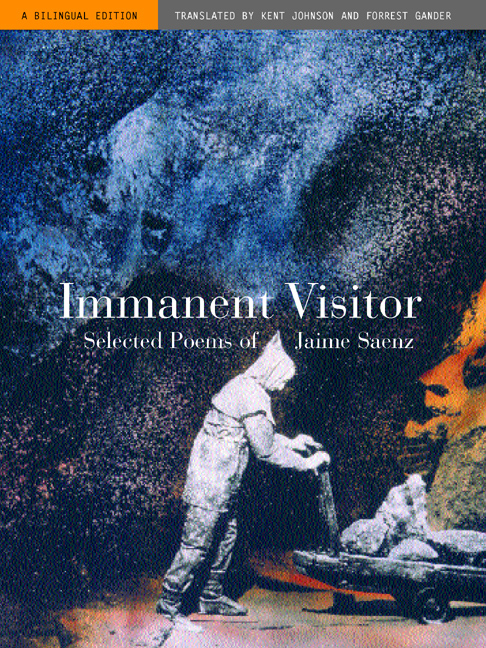 Immanent Visitor is the first English-language translation of the work of Bolivia's greatest and most visionary twentieth-century poet. A poète maudit, Jaime Saenz rejected the conventions of polite society and became a monk in service of his own imagination. Apocalyptic and occult in his politics, a denizen of slum taverns, unashamedly bisexual, insistently nocturnal in his artistic affairs, and secretive in his leadership of a select group of writers, Saenz mixed the mystical and baroque with the fantastic, the psychological, and the symbolic. In masterly translations by two poet-translators, Kent Johnson and Forrest Gander, Saenz's strange, innovative, and wildly lyrical poems reveal a literary legacy of fierce compassion and solidarity with indigenous Bolivian cultures and with the destitute, the desperate, and the disenfranchised of that unreal city, La Paz. 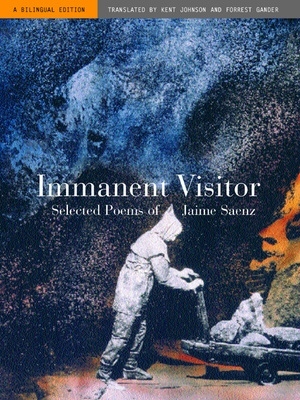 In long lines, in odes that name desire, with Whitmanesque anaphora, in exclamations and repetitions, Saenz addresses the reader, the beloved, and death in one extended lyrical gesture. The poems are brazenly affecting. Their semantic innovation is notable in the odd heterogeneity of formal and tonal structures that careen unabashedly between modes and moods; now archly lyrical, now arcanely symbolic, now colloquial, now trancelike. As Saenz's reputation continues to grow throughout the world, these inspired translations and the accompanying Spanish texts faithfully convey the poet's unique vision and voice to English-speaking readers. Kent Johnson is the translator of A Nation of Poets: Writings from the Poetry Workshops of Nicaragua (1985) and editor of Beneath a Single Moon: Buddhism in Contemporary American Poetry (1990) and Third Wave: The New Russian Poetry (1993). Forrest Gander is Professor of English Literature and Director of the Graduate Program in Literary Arts at Brown University. His books include Torn Awake (2001) and Science & Steepleflower (1998). He is the editor of Mouth to Mouth: Poems by Twelve Contemporary Mexican Women (1993) and translator of No Shelter: Selected Poems of Pura López Colomé (2002). Paraphrase of "So Have You Told Him or Not?" Parafrasis de "Y le has dicho? o no?"